As a new immigrant from Italy, Joe Garbarino’s father and uncle formed the first Scavengers Protective Association in 1920. Hauling garbage in giant burlap bags on his back over the steep hills of San Francisco, John Garbarino quickly learned that people threw away more than they should, and most of it could be reused. He soon began scouring wine bottles, eyeglasses and shoes and reselling them. 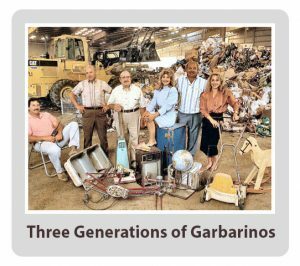 MSS began in 1948 when together the families Garbarino, Segale, Zappetini, Marconi and Zanotti left San Francisco and ventured into the growing communities of Marin County to start a new garbage service. In 1994, the County of Marin granted a franchise for additional unincorporated areas around San Rafael. MSS currently services more than 33,000 residential and commercial accounts. Now there are three generations of Garbarinos working at Marin Sanitary. 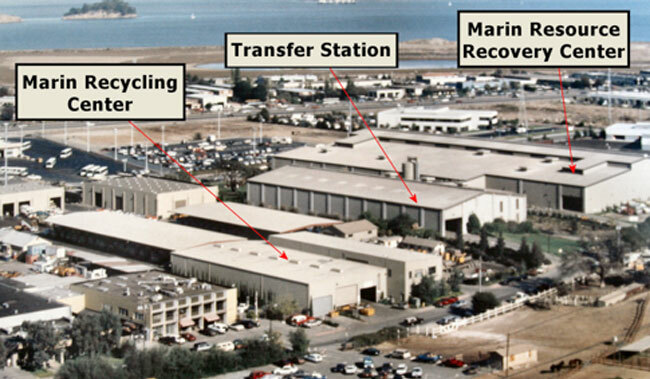 The family has toiled long and hard over the years to get Marin County to recycle over 74% of all waste. The business has grown and expanded into three separate divisions in order to address every facet of waste management and recycling. Since MSS was founded its evolution has closely paralleled that of Marin County itself. We have grown philosophically with our customers, and believe in the power of recycling to preserve our natural resources. As a result, we are well on our way to achieving our goal of zero waste. Our company has grown and our divisions work together to provide comprehensive collection, recycling, and education services to our community. Marin Sanitary Service (MSS) – Provides weekly residential and commercial waste collection, street sweeping, and recyclables pick-up services. Marin Recycling Center (MRC) – Accepts and processes collected recyclables including glass bottles and jars, aluminum and tin cans, plastic containers #1-7, waste papers, and cardboard. The center also provides community education and tours through the Environmental Classroom. Marin Resource Recovery Center (MRRC) – Accepts and processes non-hazardous materials through a customized system of screens, conveyors, blowers, magnets, and hand-sorting. It also offers debris box rental. Marin Household Hazardous Waste Facility (MHHWF) – Accepts hazardous materials from Marin residents and businesses. We are grateful to serve our community and appreciate your business. Please visit our awards page to see some of the community recognition we are so grateful to receive. And we’d love to have you join us at one of our Community Events.